Alma Flor Ada, Professor Emerita at the University of San Francisco, has devoted her life to advocacy for peace by promoting a pedagogy oriented to personal realization and social justice. A former Radcliffe Scholar at Harvard University and Fulbright Research Scholar she is an internationally re-known speaker and the author of numerous children’s books of poetry, narrative, folklore and non-fiction. Her books have received prestigious awards and recognitions; among many: Christopher Medal (The Gold Coin/La moneda de oro), Pura Belpré Medal (Under the Royal Palms/Bajo las palmas reales), Once Upon a World (Gathering the Sun), Parents’ Choice Honor (Dear Peter Rabbit), NCSS and CBC Notable Book (My Name is María Isabel), Aesop’s Accolade (Mediopollito-Halfchicken). Junior Library Guild Selections Ten Little Puppies/Diez perritos and Yes! We Are Latinos/¡Sí! Somos latinos co-authored with Isabel Campoy and two novels for middle grades, Dancing Home/Nacer bailando and Love, Amalia/Con cariño, Amalia co-authored with her son Gabriel Zubizarreta, all four of them . Among recent publications are her book Arrullos de la sirena with poems that have been turned into songs by Suni Paz published in a CD of the same name and the program Alegría. Poesía cada día co-authored with Isabel Campoy. 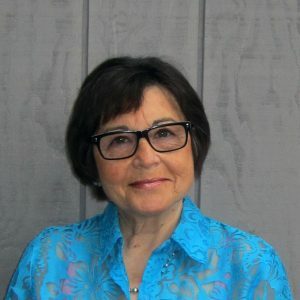 Alma Flor is also the author of a book of memoirs, Vivir en dos idiomas, two novels for adults, En clave de sol and A pesar del amor, and several professional books for educators, including A Magical Encounter: Latino Children’s Literature in the Classroom, as well as a wealth of educational materials. Her work, in collaboration with F. Isabel Campoy in promoting authorship in students, teachers, and parents is the content of their book Authors in the Classroom: A Transformative Education Process. Also in collaboration they have publishes recently the books Spanish Literacy Strategies for Young Learners (Frog Street) and Está linda la mar: para entender la poesía y usarla en la clase (Santillana). Alma Flor Ada has been awarded the Hispanic Issues Award from the American Education Research Association [AERA]; the California Association for Bilingual Education [CABE] Life Long Award, the American Association of Hispanics in Higher Education [AAHHE] Literary Award and the prestigious Virginia Hamilton Literary Award. In 2014 she received the OHTLI Award from the Mexican Government for her distinguished contributions to the Mexican community abroad and in 2016 she has been nominated for the international NSK Neustadt Prize. Isabel Campoy could be described in her own words as a venturous, adventurous, multilingual, mestiza, multicultural, Latina. 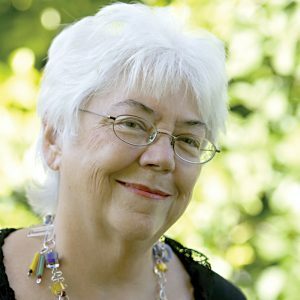 She is the author of over one hundred titles in Spanish and English, including children’s books in the areas of poetry, theatre, stories, biographies, and art, as well as books for educators in the areas of Transformative Education, Second Language Acquisition and Authentic Writing. Her work aims at providing children keys to interpret the world in a fun, challenging, and affirmative way. Among some of her latest works are Poesía eres tú, and Maybe Something Beautiful. Isabel is a prolific translator of authors such as Mo Willems, Alice Schertle, Pelé, Ellen Walsh, Audrey Wood, among many others. As a researcher she has published extensively bringing to the curriculum an awareness of the richness of the Hispanic culture. Her educational specializations are in the area of literacy and home school interaction, topics on which she lecturers nationally and internationally. Among numerous accolades she has been recognized with the Laureate Award from the San Francisco Public Library; the 2005 Reading the World Award from the University of San Francisco, and the ALA Notable Book Award; nine of her books are Junior Library Guild Selections. 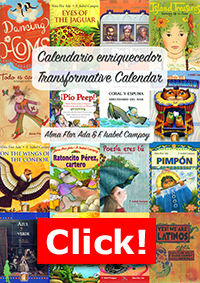 She has received the International Latino Children’s Book award 2014 for Yes! We Are Latinos co-authored with Alma Flor Ada, and the 2015 for Poesía eres tú. She is a Member of the North American Academy of the Spanish Language as well as several organizations for the advancement of multicultural awareness and world peace. CABE (The American Association for Bilingual Education) has established in her name an endowment to provide scholarships for future teachers. She obtained her degree in Philology from University Complutense of Madrid. For her post-graduate work she was a Ford Scholar at Reading University in England, and a Fulbright Scholar at UCLA. She lives in the San Francisco Bay Area.